As homeschoolers, it’s helpful to look at successful educational models to see what we can emulate. Finnish schools have earned a reputation for excellence that still allows time for play, creativity, and time outdoors. Learn how to homeschool like the Finnish! Have your kids read any of those “chose your own adventure” books? The story is different for every reader because, at various points in the tale, the reader chooses what happens next. Homeschooling is like that. Because we choose our homeschool style or model, we open up a world of possibilities for our kids. We get to choose our own adventure! Part of what makes the experience so exciting is looking at what others do well and incorporating what works for us. We get to glean from what they’ve already figured out. Then, we can look for ways to emulate their successes into our homeschools. That’s why I started learning about the Finnish school system. I wondered how we could homeschool like the Finnish. I love the idea of looking at lots of other education models and seeing how they match up with our family. We never should copy and paste another method into our homeschool. We’re all unique, so we should always make our homeschool fit us! But there’s so much to learn out there, and the Finnish are doing school so well. Let’s take a look at how we can homeschool like the Finnish and use what they’re doing well to improve our homeschools. According to the Program for International Student Assessment (PISA), the US ranks 26th of 34 other countries belonging to PISA, despite the amount of money we spend on each student. By comparison, Finland spends less and ranks 5th in that same group of countries. So we know that spending more money is not the answer to a better education. Students in the US are also some of the most tested compared to students in other countries that rank much higher. In Finland, students are some of the best readers in the world according to PISA. The country ranks 2nd in science as well. While I don’t think we have to totally overhaul our homeschools to be successful, I do believe we can look at what the Finnish are doing well and try to implement some of that in our own homes. What I love about Finnish schools is the testing is so minimal. All testing is optional in Finnish schools until the student reaches their senior year of high school when they must take an exit exam of sorts. There are no rankings, no standardized testing every semester. The Finnish teachers get to focus on teaching kids how to learn, rather than how to test. That is a fantastic model to emulate! Another thing I love about Finnish schools is that by and large, their teachers are the same from year to year. Any given teacher could stay with their students for 4, 5, or even 6 years! That consistency is so good for kids! The teacher and child get to know each other well and their relationship deep and meaningful. 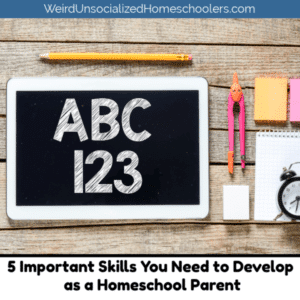 Don’t you love that we have that opportunity as homeschooling parents? We get to be our kids’ constant and supportive teacher. We’re always there to advocate for our children. Who knows them better than we do? Use the benefit of consistency to really understand your child. Our relationships with our kids should come first, school second. If we’re teaching from love and familiarity, our kids will do well because they’ll know they can fail and we’ll still love them all the same. In Finland, students don’t start school until age 7, and they still are given many breaks and time outdoors. There is no pressure to learn to read early or force lessons on kids until they’re ready. I learned firsthand the benefits of not forcing lessons on kids until they’re ready. I’m so glad it happened at home and not in public school! One of my children was a later reader. Not extremely late, but in the eyes of the public school, definitely a delayed reader. I know that if this child had been in school, it would have become a huge deal, involving extra reading assignments and possibly a requested tutor. It would have likely required extra help would and a reading specialist for part of the school day. But this child didn’t need anything like that. Time was all that this child required. And in our world of do, do, do and more, more, more; taking time and going slow doesn’t make any sense. But taking time and going slow does make sense with learning. Sure, there are special cases where the child really needs extra help. But most of the time, we’re just pushing too hard, too much, and too fast. As I read about Finnish schools, it seems that the overall vibe of the schools is just more relaxed than what we’re used to here in the States. The kids come in from outdoors and warm up in their socks. They bring little trinkets from home and leave them out on their desks for extra comfort. They do math with dried beans and other hands-on manipulatives. It’s just cozy. And that’s what we need to focus on as homeschoolers. We need to relax! We’re homeschooling. Make it cozy. On cold winter days, leave the slippers on. Let the kids sleep a little longer until they’re fully ready to wake up. Light a candle. Cozy up on the sofa for reading together. Embrace every part of being at home! We’re so lucky we get to do school at home! What first drew me to Charlotte Mason homeschooling style was her sincere desire for mothers to let their children play! The Finnish have fully embraced the importance of play, too. Kids are sent outdoors for a 15-minute recess between each lesson. And, they take longer breaks through the day to play and give their brains a break! Finnish students spend hours a day outside, even in the wintertime. They’re given minimal busy work and homework so that they have more time to play. There’s so much to learn from Finnish schools. They’re doing so much right. But mostly we need to remember that we’ve chosen to homeschool and embrace the freedoms that come along with that. Why would we recreate a failing system in our homes when we have to freedom to do so much more? Here are some great books to do more reading about the Finnish, Scandinavian culture, and just being outdoors with our kids more! What aspects of Finnish schools would you most like to incorporate in your homeschool? I love their relaxed style! This year we dropped most of the tests. We do a few quizzes but no more lesson quizzes or chapter tests. We take more breaks too. No rush to just get assignments done. It has made such a difference for all of us. We are much more relaxed and enjoy our homeschool days! I do agree with this article, but the reality is, we do live in the US. So unless we plan to move to Europe, or one of these countries, we also need to prepare our children for colleges and universities within the US. My friend was homeschooled and several of her siblings struggled at college because they didn’t know how to test, especially with timed tests and essays. That doesn’t seem a fair comparison. If you can’t write an essay, that’s not because you weren’t tested. That’s because you have never been asked to write down your thoughts or research on a subject. Can’t understand a timed concept? Even my 10 year old understands how to perform in timed situations. No testing needed for either of those. We don’t test. My kids understand how to perform the tasks needed if one is required of them as the skill is not unique to testing situations. Tests are needed in very large groups because teachers can’t know what each student knows. I know what my kids understand due to the nature of home education. Test and stress shouldn’t be related but in today’s U.S. society it seems to be just that. We test here as lesson reviews to see what I might have missed teaching and might really be relevant for life – then we discuss it. Most times, in history for example, the lessons learned are more important the memorizing dates, names and places. Lastly, we love taking lessons outside the homeschool room as it relates to places we visit, eat, shop and activities we do. Kinda “on the life training!”. 1. They have zero private, charter, or homeschooling. Everyone is 100% invested in their neighborhood school, which means the neighborhood schools are able to excel because loyalties are not divided. Every community wants their school to excel. 2. They implemented strong national standards, similar to our Common Core. People in America hate CC, but in Finland they understand having strong national standards translates to better education. 3. They pay their teachers exceptionally well, take only teachers who graduated in the top 10% of their university, and train them rigorously. They give teachers complete autonomy–once they are trained, they are given autonomy to put that training to use as the teachers best see fit. They are honored above doctors, and treated with utmost respect. These are things we conveniently gloss over in America, because we only look at the fun parts, but these are real components that have led to Finland’s success. Something to think about. I remember studying their system back when I was in college to become a teacher. Back then I’m not sure I was on board, but now as I’m homeschooling my own, it makes complete sense!